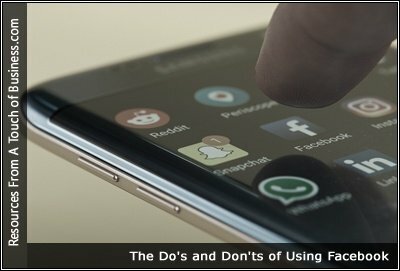 Facebook do’s and don’ts are very necessary to remind. Every user must follow these basic steps to become a responsible user of facebook. We all are aware about the word Facebook as everybody knows about this social networking site and may be using also. Facebook is a way to connect to friends and family in a very easy and interesting way. 1. Do: Take advantage of Facebook Places. This location-based application allows users to “check in”—or alert their network—wherever they are. If you have a brick-and-mortar location, turn patrons into Facebook promoters by giving them freebies or specials offers if they check-in from your location, using Facebook Places. Step one in successfully using Facebook for business is to fill in your entire profile to the best of your ability. You want your customers to access all the info they need about your brand of company right from the Page. So you’re now all set on Facebook. Yee haw! But what do you do to make your mark? Here are 9 great tips for building a full-bodied, engaging Facebook page for your online nonprofit community. Now that you’ve set-up your Facebook Nonprofit page, make sure to enjoy all the goodies it provides. With Donate Now buttons, Events, Fundraisers and much more, if you’re not taking using these powerful tools, do it now!